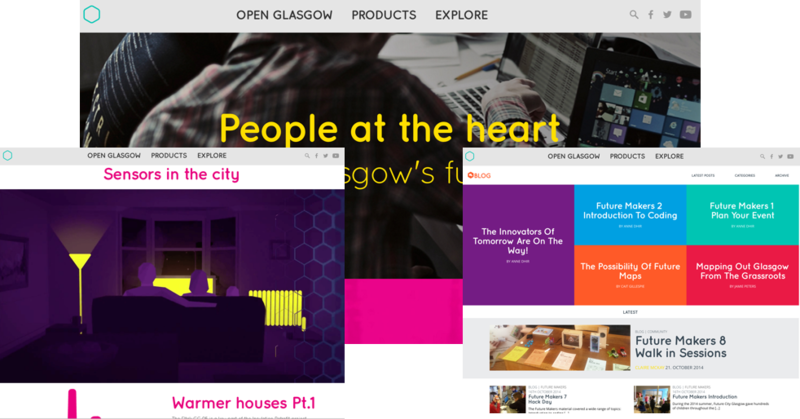 Help Glasgow City communicate the value of open data and data platforms to its citizens and the world. Designed and built a series of WordPress-powered websites in order to drive community engagement, empowered the editorial team, and collected data with the help of citizens. 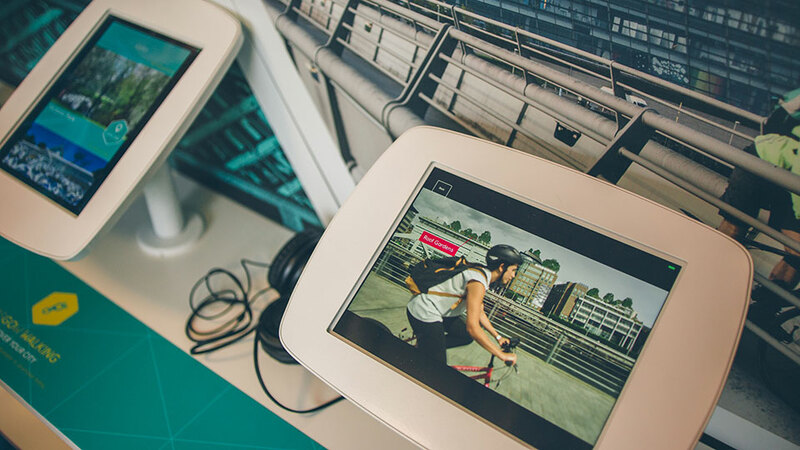 Funded by InnovateUK/The Technology Strategy Board, Open Glasgow was awarded £24 million to prototype technology and do a trial run for becoming the UK’s first truly smart city. Glasgow is a surprising, big, and innovative city with a population of over 600,000 and a large and growing technology and design scene. The city suffers from incredible poverty and stretched public services and Glasgow City Council is already the largest employer and council in Scotland. They have done a fantastic job in combatting poverty and crime in the city over the previous decade in order to help Glasgow shift its reputation as a dirty, violent, and industrial city from the previous century. Glasgow was hit hard by the 2008 credit crunch with services slashed and funding drying up for some of the vital services provided by the council. Something had to be done to stretch council budgets for essential services further and further. 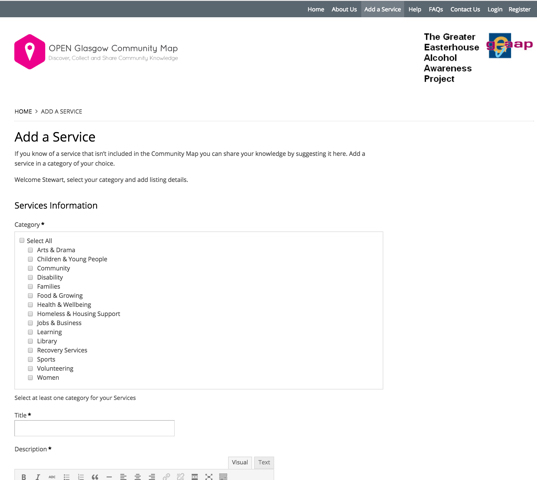 In 2010, Glasgow had the opportunity to pitch and apply for Technology Strategy Board Funding so as to trial Smart Data and Open Data services within the city in an effort to prove their usefulness and effectiveness when governing a city and providing services. The second was an effort to prove the usefulness of data to citizens. This took the form of a series of demonstration and marketing projects to make the case for open data to the population and show how the data could be useful. Citizens could have privacy concerns and it was important to help them feel like they were not being spied on. The Open site was an iterative project. We formed a tight-knit team with Open Glasgow and consulted constantly on the content and the design. It was vitally important that we get it right. The content of the site was the real key in getting the citizens of the city behind the Open Glasgow project. This site was to become the springboard and organisational hub for everything that was to come out of the Future Cities project. From the Open Site blog, posts were disseminated, data was explained, and experiments were exposed and built upon. Hackathons were organised and kids were taught to code. The website itself was complicated. We simplified and built it onto WordPress. The site is now responsive, performance optimised, and infinitely extendable. It has custom menu, post types, taxonomies, and a host of one-off pages that would need to be editable and manageable buy a mixed team. Glasgow has a lot social problems and a lot of people out there trying to help. The council does a lot but the grassroots organisations do more. Problems occur when no one has a list of what assets and services are available in a community. Glasgow City Council had identified an information curator who stepped in and made a list of all the services available in his area. The data was just a big list of the services being offered, where they were being offered, and how to get in touch with the providers. This was a great start but we can do so much more. Mapping the data onto a street map would let people find the services more easily. Categorising the mapping data would make it obvious where there were holes in service provision and where there were complimentary services (eg. childminding, etc.) available when adults needed to engage with a service. 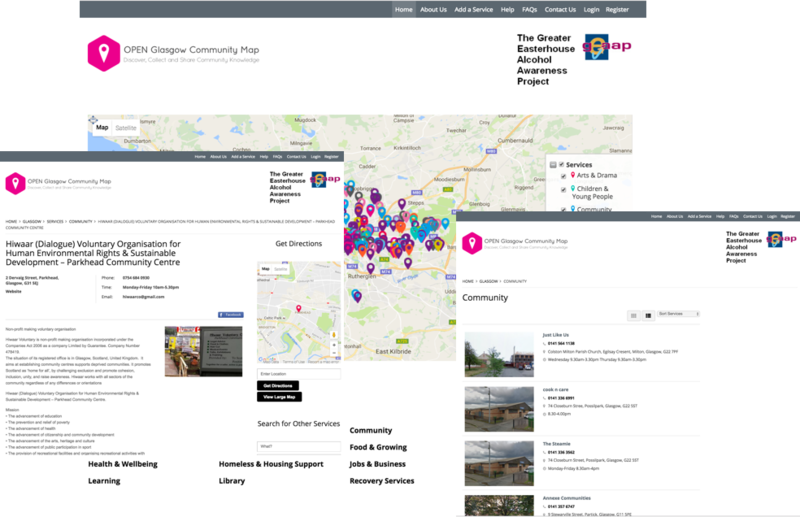 The community map is ideal for assisting people to integrate back into the community; it creates an opportunity to add whatever is going on in your local area, from arts and drama, to volunteering opportunities, leisure activities, and community centres. 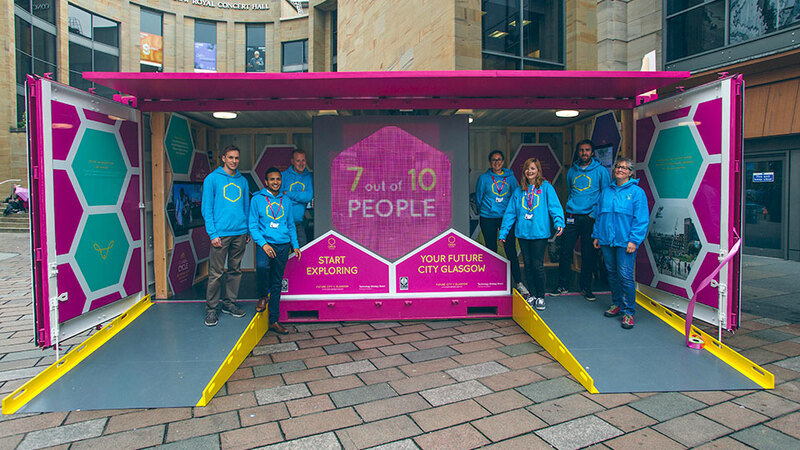 More than making data available for people and businesses to use, we helped engage the community in Glasgow by displaying how data and information can be directly useful to them. As part of the community engagement hubs, we produced two iPad Apps for use within the hubs. The first app had a series of video stories detailing how the city can use data to enrich the lives of its citizens. The second app was a series of video visualisations of data that citizens could use to make better decisions in their own lives. Such as where is the easiest place to pass a driving test. These apps and the engagement hubs were part of a successful campaign to engage the city on open data, its use within the city, and why it would benefit citizens.